With the release of Java Runtime Environment (JRE) 7 update 45 new security measurements are introduced. Oracle describes the impact of the updated security baseline in this blog. While security is an important topic (especially when web applications are involved) breaking applications due to raised security could result in the opposite. In case you’re running JRE 7u51, please read this article with an update. 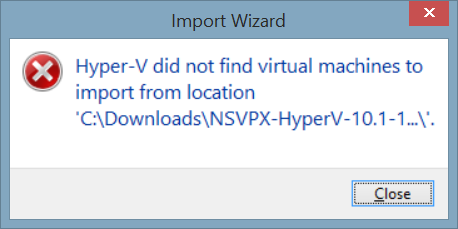 I tried importing a Citrix NetScaler Virtual Appliance on a Windows 8.1 machine and received the error “Hyper-V did not find virtual machines to import from location”. Importing the same appliance on Windows Server 2012 did work. The cause of this error is that the virtual machine is exported from a Windows Server 2008R2 server (running Hyper-V 2) and Microsoft deprecated the WMI root\virtualization namespace v1 in Windows Server 2012 (Hyper-V 3) and removed it Windows Server 2012 R2 (see TechNet). There’s no support for the old WMI format. On initial boot of a freshly deployed (Ubuntu) Linux appliance on VMware vSphere 5 the machine stopped working because of an inconsistent disk. According to the machine 255 days where passed without the disk being checked. 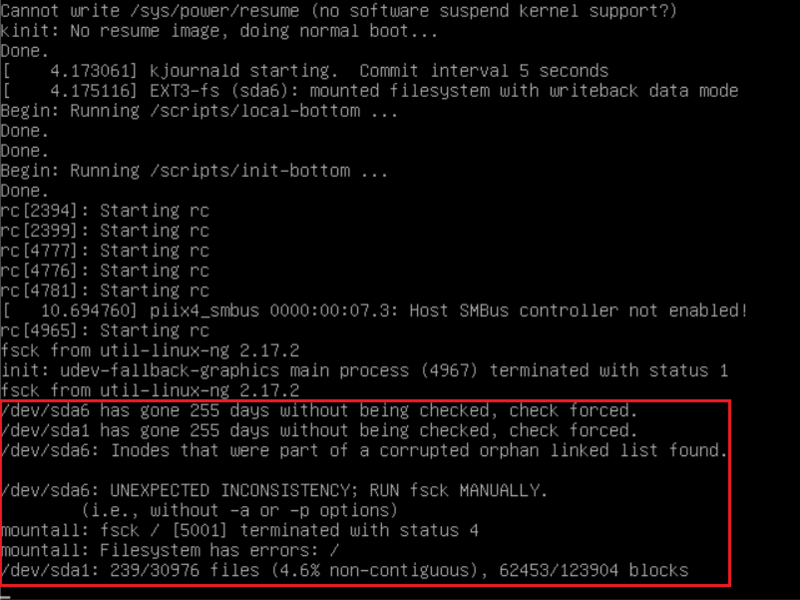 After a file system check is forced the machine stops with an error UNEXPECTED INCONSISTENCY followed by fsck /  terminated with status 4. 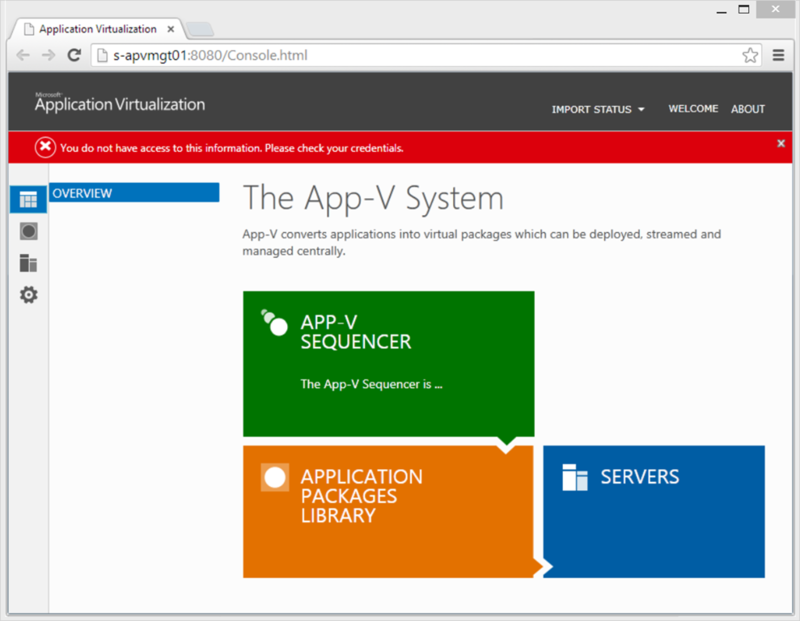 With Microsoft App-V 5.0 virtual application packages (or sequences) can be streamed to the client with two delivery methods: SMB or HTTP. With SMB being the easiest one (all you need is a file share), the HTTP delivery mechanism is IMO more scalable. The ability to stream via HTTP is natively built-in in the App-V client, no configuration is required. All that is needed to publish the application via HTTP is to specify the URL instead of the UNC location at the Management Server. Unfortunately Microsoft doesn’t provide us with a description on how to built a Microsoft IIS Web Server to enable it to stream App-V packages. In case you’re locked out of your Microsoft App-V 5.0 Management Server – because the account / group is removed , you’re not a member of the group or because you don’t know which account was specified during installation – you will receive an error message: You do not have access to this information. Please check your credentials. Fortunately, regaining access to the App-V management server is pretty easy.